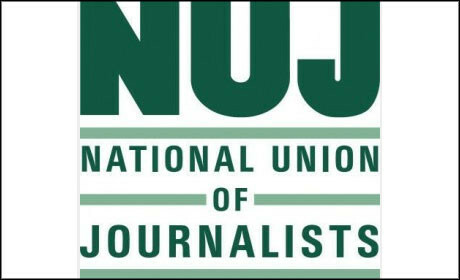 The National Union of Journalists is "facing a severe financial crisis", according to a leaked document seen by Journalism.co.uk, with the union said to have just three weeks worth of running costs in cash. The document, a report to the National Executive Council from general secretary Michelle Stanistreet, outlines a number of recommendations to try and tackle the situation, including cuts to staffing costs and alternative ways to provide professional training that will not cost the union. The union is said to have around £300,000 in cash, which "only amounts to three weeks running costs". "If immediate action is not taken this money will run out in October and the union would be insolvent," Stanistreet adds in the report. The union is currently consulting with staff over redundancies, with a three week voluntary redundancy window closing on Monday (28 May). The document states that the current estimate is that the necessary savings in staff costs will mean the loss of nine posts out of 47 in total. The report adds that over the past five years the union has seen an 18 per cent drop in membership figures. "Given the scale of the crisis in our industry we cannot assume that this decline will not continue," Stanistreet warns. Stanistreet also states in the report that its Headland House headquarters in London "has a negative pledge of £1.4 million on it to the pension scheme and what is left over is effectively the nominal Fighting Fund that is listed in our accounts. "The building's current valuation, however, has dropped from £3.5 million to just £2.7 million. "This means there is no ability to seek loans or extend our overdraft - even if it was decided that such a step would be an appropriate course of action." As a result the union adds: "We need to be completely clear that the way out of the crisis will involve cuts across all areas of the union's expenditure." Stanistreet said that union-funded professional training activities will be ceased, as the union prioritises resources "on the organisation and representation of members". "Finance committee asked me to explore alternative ways of providing the service of professional training given that the courses are well-received by members, and particularly useful to freelances but to do so at no cost to the NUJ. "I believe it is perfectly possible to achieve this with the aim of ensuring that a programme of professional training, carried out by NUJ members, is available to the broader membership and conducted across all union centres." Two options include the tendering of a contract for NUJ training offered on an annual or three year contract or for training to be "administered and delivered by the General Federation of Trade Unions on behalf of the NUJ". The union outlines "significant measures" in the report which have already been taken to reduce costs. This includes a reduction in staffing and the number of issues of its magazine for members The Journalist. But the union adds: "At the same time the economic crisis and the severe job losses and cuts within the broader industry have had a knock on impact on union membership and subs income." At the delegate meeting in Newscastle, due to be held in October, a number of motions will require approval, Stanistreet says in the report. This includes an increase in subscriptions of five per cent, which the general secretary added was "a difficult decision" but that there was "no option". To be passed this motion would need a majority of two thirds. Update: In a statement general secretary Michelle Stanistreet said the National Executive Council has agreed a strategy "including cuts across all areas of union expenditure, including provision for staff redundancies".